Most iPhone iPad iOS users are searching for a way to download and install WhatsApp + Plus or GB whatsapp or WhatsappGold on their device instead of the original version of WhatsApp, because WhatsApp Plus offers more features and tools elements and it is, in contrast to the normal version of WhatsApp, absolutely free. 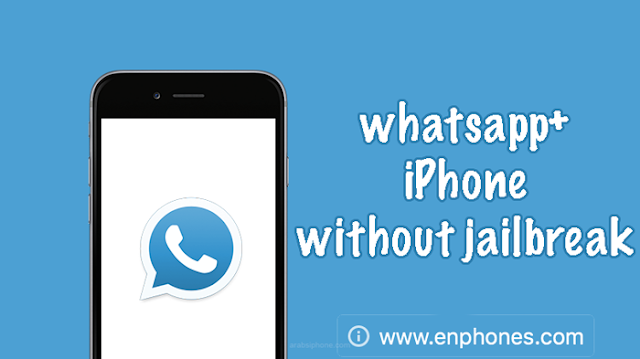 WhatsApp are preventing WhatsApp Plus from putting their application in the regular application store, for this reason WhatsApp Plus is not located in the Apple app store, due to copyright infringements, but here we will show you how to download and install whatsapp+ on your iOS device without jailbreak. is harder to download WhatsApp Plus on your iPhone device then you might have expected at first sight. iOS 10 users: as of version 2.6.10 the app will crash. downgrade to previous version for now. This copy of WhatsApp does not include iCloud features. This means than you will NOT be able to restore your old chats, you will NOT be able to backup new chats and you will NOT have your contacts synced with iCloud. Uninstall original WhatsApp app first! Bringing the most-requested features to WhatsApp. Stealth Mode: Hide your Last Seen and Online status from others. Disable Read Receipts: Others won't get blue ticks when they send you a message even though the message gets read. Disable Delivery Receipts: Others won't get a double-tick when they send you a message even though the message gets delivered. 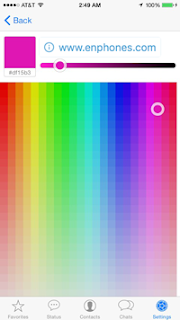 Custom Theme: Change the overall color of your WhatsApp. This will become much more customizable soon! Send Unlimited Media: Send more than 10 media (Photos, videos, etc...) at once. Share Music: You'll finally be able to share DRM-free Music using WhatsApp. 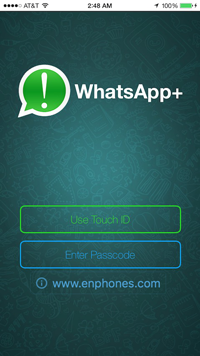 Passcode/TouchID: Lock your WhatsApp with both a passcode and TouchID. if you hide your status, because of the way the WhatsApp servers work you will not be able to see others last seen. if you disable delivery receipts, WhatsApp servers will not know you have gotten the messages so they will keep sending you notifications. This tweak blocks those notifications but they are still being sent in the background. When the download and installation of Whatsapp+ Plus on your device finished, open it to see "untrusted enterprise developer" message and Press Cancel to close it. Then trust the developer's certificate by going to the settings>general>profiles, so you can run WattsPlus Plus on your iPhone. You will see several messages, including a message means Tutu helper App is requires to open Whatsapp plus. Click install to open the page of the Chinese store Tutu helper, and press "Regular / Free" button at the top right then press "Download Now"
When the store is installed, open whatsapp+ on your iPhone. That's All, whatsapp+ Plus will works without problems on your iOS iPhone device, and here we finished with this tutorial to download and install whatsapp plus or gbwhatsapp on iphone ios 10 and iOS 9 without jailbreak (cydia) and without ipa source. if you have a problem, Please let us know in comment.